Castabroad’s WordPress website has just gone live! 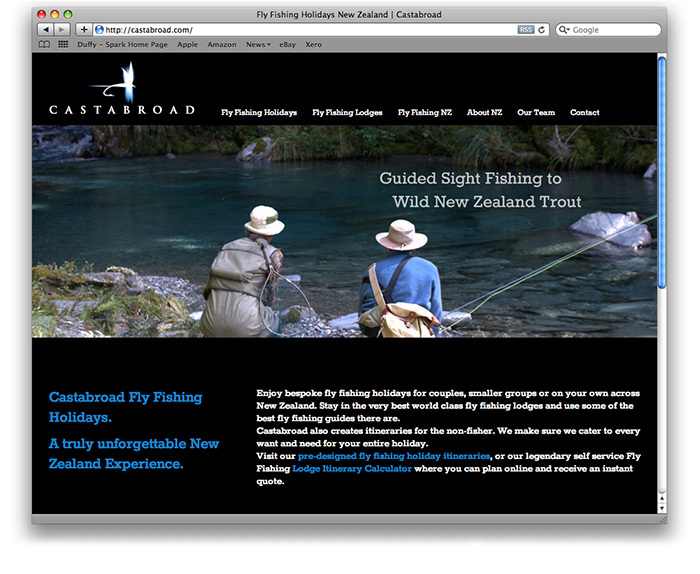 When Craig from Castabroad came to Duffy he had a great lovely brand identity, outstanding imagery but needed the Duffy design website design glue to make his fly fishing tours business really communicate and stand proud. The first step in the evolution of the new Castabroad site required some wireframe planning distilling his itineraries and previous site content until there was an ‘aha’ moment where I really felt I understood what his offer was and we had some order. From there the site grew through the design execution and development process and of course adding a few bells and whistles along the path. From first contact, ideas & expectations were quickly extracted from us by Belinda and a brief was drawn up. From there the project grew as we were introduced to options that could be integrated into the website, and before we knew it Belinda had designed what we believe to be the best NZ resource for what we do. A customised and very sophisticated (behind the scenes) calculator proves for simple online enquiries to be quoted in real time exchange rates to the visitor. 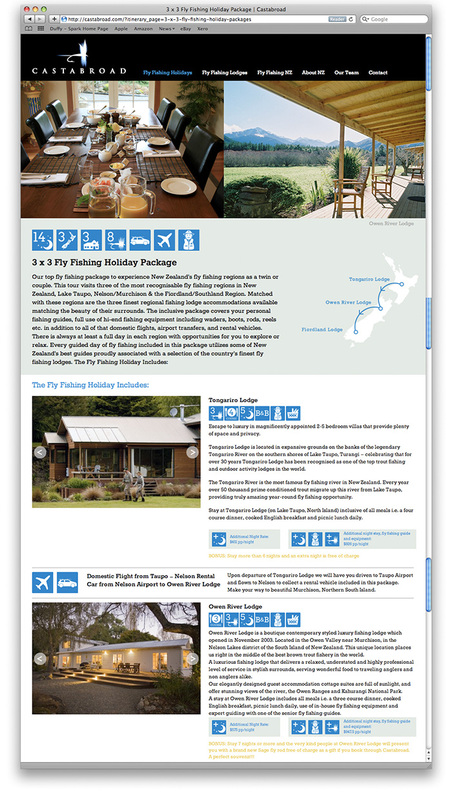 Imagery, being the most important facet of online advertising was maximised with wall to wall panoramas of our incredible NZ scenes shown in a slideshow, different on every page. No need for a gallery page here – the whole site is a hi-res gallery! The CMS used is WordPress, simple to use and available on any platform – whether we want to update something from our offices in Wanaka or even an iPhone on the riverbank, we can. Timing is everything, and Duffy Design was flexible to our availability during busy spells in our offices and we simply picked up and carried on when we could.